This piece of Mother's jewelry is from Posh Mommy. 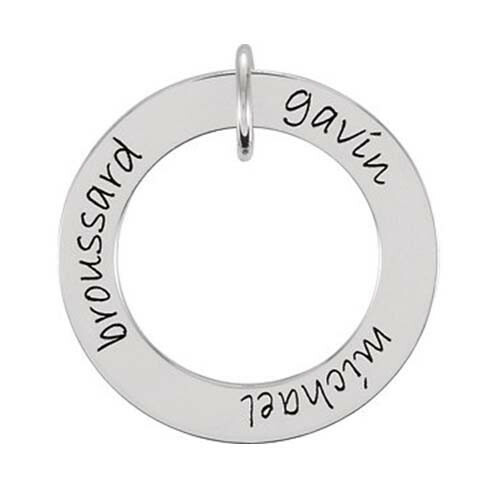 Crafted in 14kt white gold, the engravable loop is wee in size, but big on beauty! The piece commemorates up to three wee ones, or one wee one with a three-part moniker, and hangs from an 18" chain. The necklace is one of the best ways we know for you to express your feelings for her, and the family that you've created together.